The long summer holiday poses an important conundrum: what do you do with the kids to keep them entertained? This South Shields venue has one such solution for the younger members of the family. 90 minutes of jokes, storytelling and songs. The Customs House has long being associated with one of the most successful pantomimes, full of likeable characters that know how to work an audience. The Pirate Adventure takes panto regular Arbuthnot (David John Hopper) and The Lambton Worm’s Puddles (Dale Jewitt) on a fun filled tale. There is a mixture of both musical and panto tropes in a tale that leaves both the parents and the kids laughing. At least it passed the 6 laugh test, which in comedy terms, makes it more successful than some of last season’s pantos. It is Puddles birthday and his friends in Cooksonville have bought presents, except for Arbuthnot, who has not got himself organised enough. Fortunately a strange man, Captain Banana (BBC Radio Newcastle’s Steffen Peddie) offers them a cruise for 2. On board we have the loyal mate Pirate Flo (Lauren Waine) and a cook with a limited number of recipes (Brodie Jobson). Completing the ship’s crew is a parrot called Polly (Charlie Martin), who is communicating with the Makaton sign language used on Cbeebies, and some handy dancers from the South Tyneside Dance Workshop. There are two elements to the story. Firstly, what has Captain Banana got lined up for Puddles. Secondly, why does Captain Banana stop letting people being themselves and in this plot device there is a message for the kids to take home. The humour level is mainly aimed at the Cbeebies generation. There are a few gags in there for the adults but this is more tailored to the youngsters compared to the full blown panto. So, expect some jokes about the effects of a curry, as 7 year olds find toilet humour funny. Indeed, the target audience were laughing at regular intervals even though the 11am start was a little early for their adult companions. If it is adult humour that you crave then stick to Steffen Peddie’s adult comedy show, at the same venue, on the 4th August. The likeable characters work well together and Puddles sounds a lot better than he did in the Lambton Worm (have they moved the microphone?). Talking of Puddles – Dale Jewitt deserves a medal for wearing that suit in this heat! The dancers were delightful and had clearly done lots of rehearsal. Perhaps, for a show for such a young audience, it was about one song too long, as they were getting a wriggle on. It is a warm, entertaining show. Even though I’m not the target audience, as a panto fan I enjoyed it. David Jon Hopper and Dale Jewitt work well with the young crowd. Steffen Peddie is probably the nicest bad guy you’ll meet this year, so he won’t frighten the little ones. The supporting cast all played their role too. 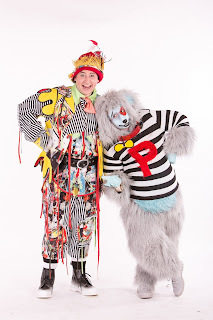 Tickets for Arbuthnot and Puddles’ Pirate Adventure are priced from £8, with performances at 11am and 2pm. Hopper and co return in August: Tickets for Arbuthnot’s Super Happy Silly Fun Game Show, which starts at 2pm, are priced from £5. 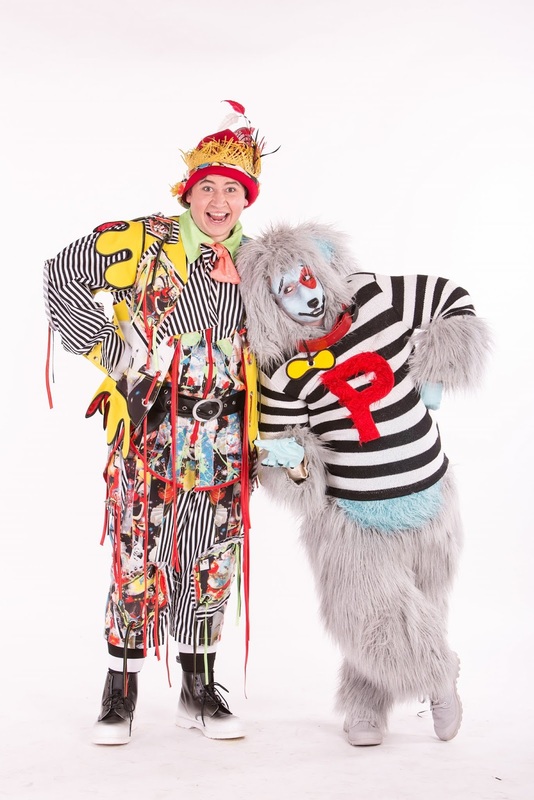 Tickets for Once Upon a Storytime are £8 and performances are at 11am and 2pm.